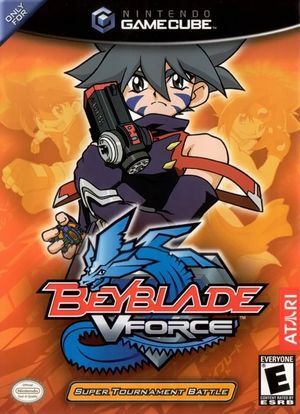 BeyBlade: Super Tournament Battle, also known as BeyBlade VForce: Super Tournament Battle in Europe and Bakuten Shoot Beyblade 2002 in Japan, is a 2002 role-playing video game based on the anime and manga Beyblade and was released originally in 2002. In the game, the player selects a beyblade and a beyblader to fight in a tournament, buying better blades as the game progresses. The graph below charts the compatibility with Beyblade VForce: Super Tournament Battle since Dolphin's 2.0 release, listing revisions only where a compatibility change occurred. This page was last edited on 24 July 2018, at 12:52.